Thank You from Dance The World! Our Dance The World team would like to congratulate all of the directors, families, instructors, and performers for a job well done at Dance The World 2018! It was a pleasure meeting everyone and seeing everyone's hard work come to life over the past three weeks! This event would not be possible if it were not for you and your hard work! Thank You! Performers and directors are invited to join us in any of our upcoming Dance The World events! We offer Dance The World, World Dance Competition, Dance The World: Broadway and Dance The World: Holiday Season Edition! Dance The World kicked off with parade rehearsals! During rehearsals, our staff and directors saw individual studios perform as one. 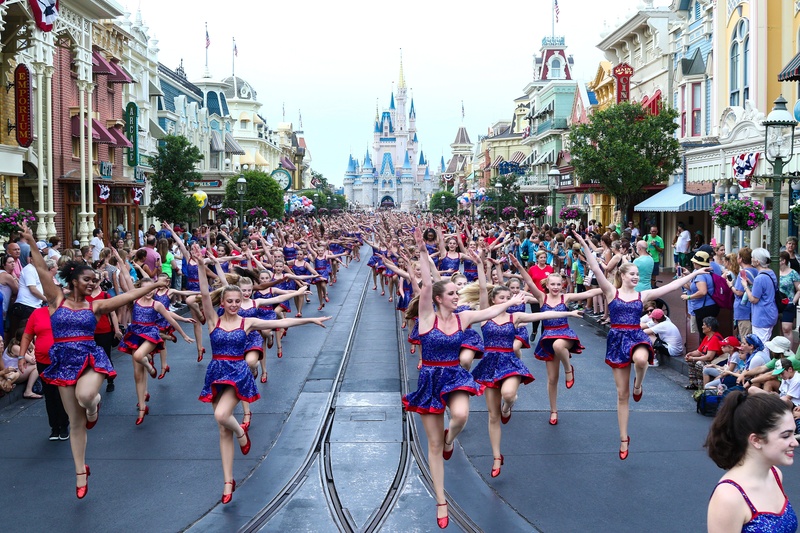 Dancers finally had the opportunity to perform in front of thousands down Main Street U.S.A. inside of Magic Kingdom® Park or inside of Epcot®! This was the performers time to shine and show their hard work and dedication. 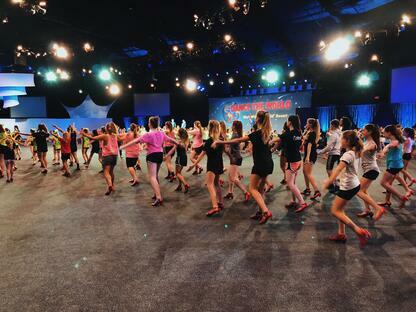 Each studio had the opportunity to perform their own choreography on stage at World Show Place inside of Epcot®! Studios showed friends, family and staff members a variety of dances. Choreography performed, showed each studios individuality and unique style of dance. To wrap things up directors, performers, parents, friends and family celebrated at the gala! Attendees received a buffet-style dinner, danced through decades, and were even joined by some of your favorite Disney characters! Once again, thank you for an incredible Dance The World experience! 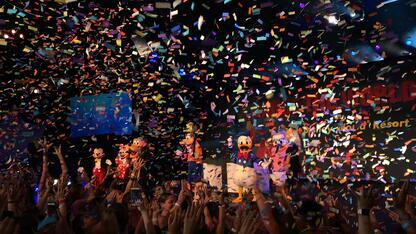 Thank you for celebrating the art of dance with us at the Walt Disney World® Resort! If you would like to join us for Dance The World 2019 click the link below!